Monkey Bread Recipes come in so many varieties from Sweet to Savory and I love them all. Something about bubbles of bread covered in seasonings and sweetness, it’s just good. 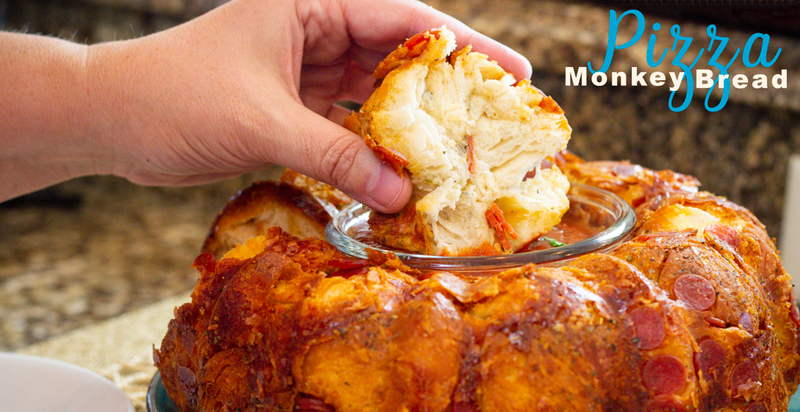 Monkey Bread is also great for big and little hands and makes a great meal or dessert too. Can we talk? I know that when you hear ‘Monkey Bread Recipe’, you instantly think of something sweet, bread dipped in sugars and some yummy glaze. 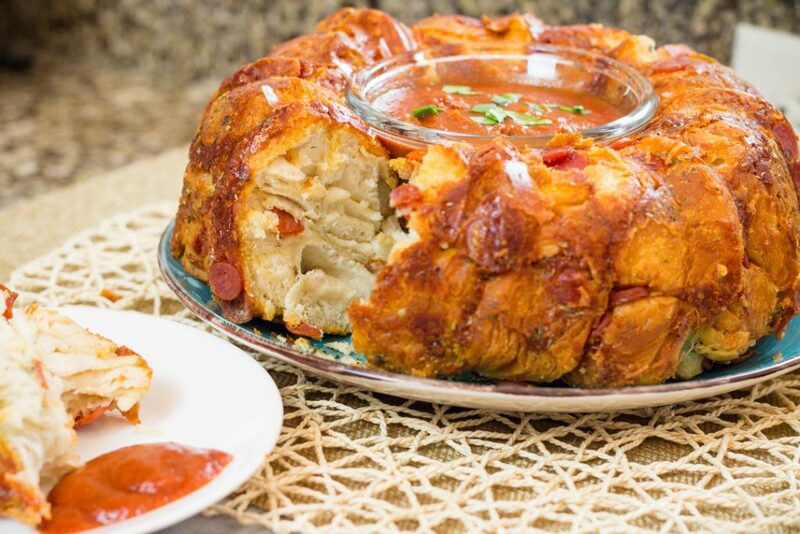 Now let me open your world to the Savory side of Monkey Bread Recipes with this great Pizza Pull Apart Monkey Bread Recipe. 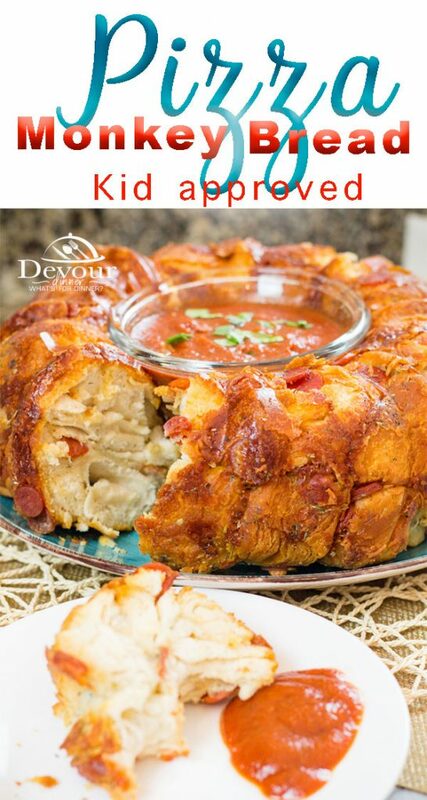 Welcome to the world of Savoy Monkey Bread Recipes! 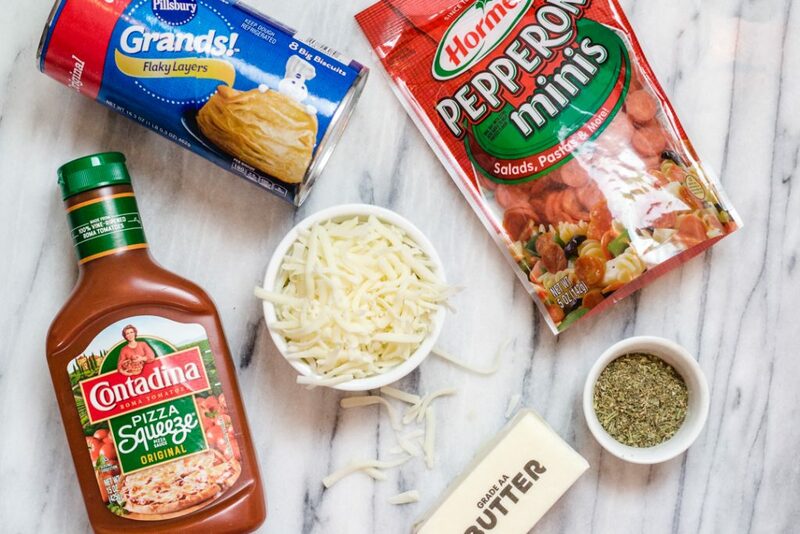 This recipe is so versatile you can add other favorite ingredients that you’ve grown to love on your traditional pizza. Try Ham and Pineapple, or Pepperoni and Sausage. What about Chicken and BBQ Sauce? Wow! 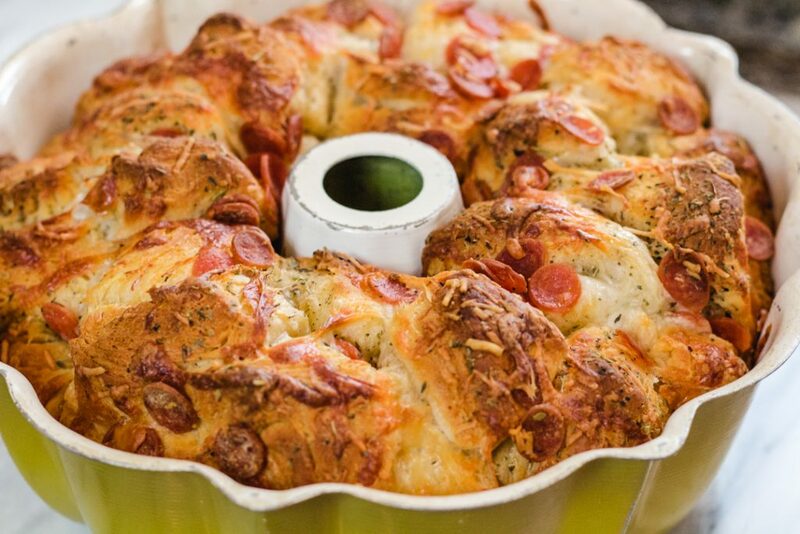 The possibilities are endless and that’s what I love about Savory Monkey Bread. Substitutions are easy and never ending. Looking for a fun Sweet Monkey Bread? Look no further, we’ve got you covered. Try this Cinnamon Monkey Bread, it’s one of the first recipes I made as a kid and trust me when I say one of the first recipes my boys learned how to make too! 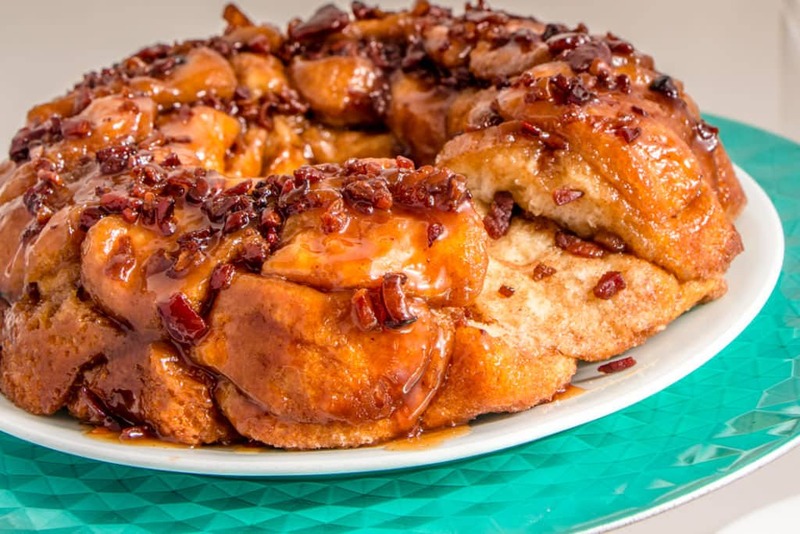 If you are a bit more daring you might also enjoy this Maple Bacon Cinnamon Monkey Bread. Okay, that’s a mouthful, but once you put a piece of this Monkey Bread into your mouth, you will be hooked too. Is Monkey Bread a Dessert? Yes, Monkey Bread can be a dessert recipe. Filled with Cinnamon and Sugars and a sweet glaze. It can always be Savory. Is Monkey Bread a Lunch or Dinner Recipe? Yes! 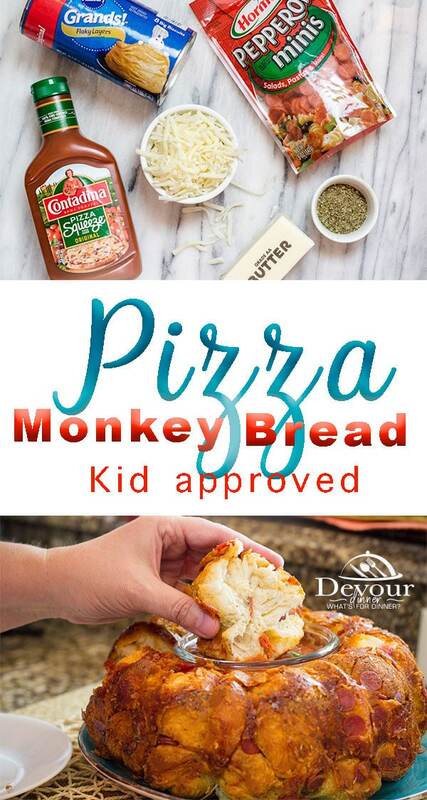 Monkey Bread Recipes can also be a lunch or Dinner Recipe with Savory ingredients, like Pizza toppings. Choose your favorites ~ Ham and Pineapple, Pepperoni and Sausage, Chicken and BBQ Sauce. The possibilities are endless. How can I tell if Monkey Bread is fully Baked? 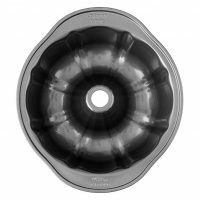 Monkey Bread is best baked in a well greased bunt pan and can often be difficult to tell if it’s fully cooked. Use a sharp knife and poke down to the center and look for the sticky dough texture or the cooked bread dough. It can be difficult to tell, and remember with all the cheeses added it’s sometimes misleading. Watch the Bake Time and directions too. 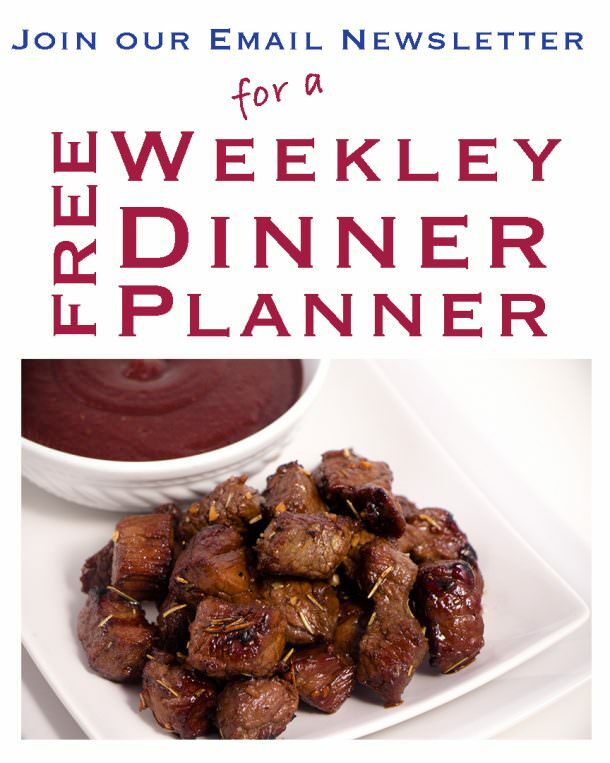 What can I serve Monkey Bread with? 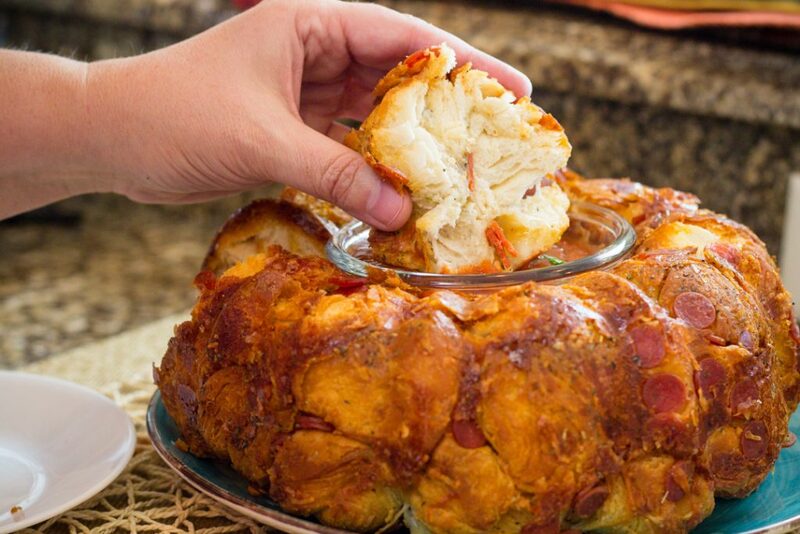 Monkey Bread Recipes can be sweet OR Savory. It all depends on the ingredients used but regardless Monkey Bread is just delicious. 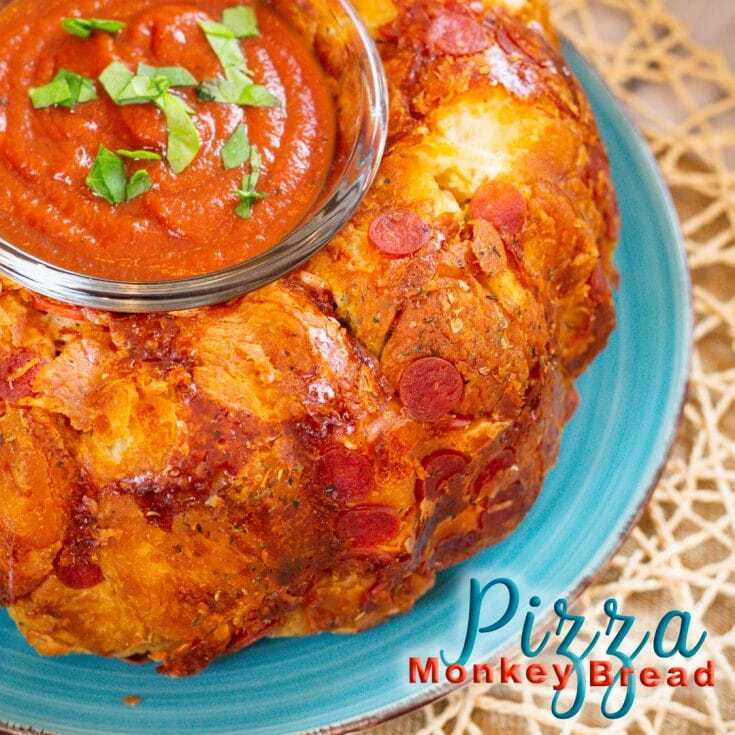 Do you have a favorite Savory Monkey Bread Combo? We do! It’s whatever our current favorite Pizza is. Want MORE Monkey Bread Recipes? Add Melted Butter and toss to coat. Add Pepperoni, Mozzarella Cheese, Parmesan Cheese and Italian Seasonings. Toss to coat. In a well greased bunt pan, place Pizza Biscuits into pan. Bake at 350 for 25-30 minutes. Check with knife for doneness. Remove from oven and invert onto a plate. Biscuits will sometimes stick together. Use your hands to break apart and to make sure dough is coated in butter. *optional - Add 1/2 cup of Pizza Sauce into dough with butter to coat dough pieces. 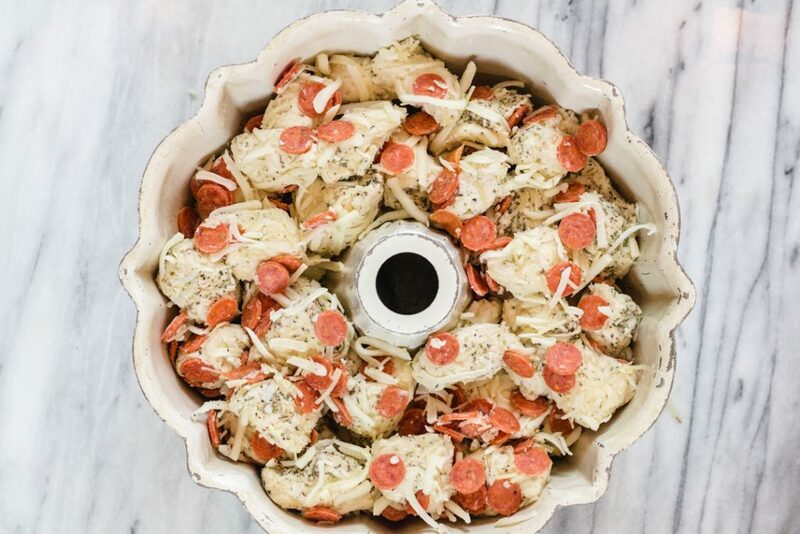 Substitutions - Substitute any of your favorite Pizza Toppings for the Pepperoni. Try Ham and Pineapple, or Pepperoni and Sausage. Chicken and Bacon with a BBQ Sauce. The possibilities are endless. Use a knife to check for doneness. Each oven is different. Mine is typically done in about 27 minutes. Poke a knife to the center and open it up to look down and see if dough is cooked.